A PLN is a Professional Learning Network. It is also a Personal Learning Network. That is, it is a Professional Learning Network which you personalize for yourself! These are very useful, make our jobs easier, help us help our student learn more, and are therefore, very important. 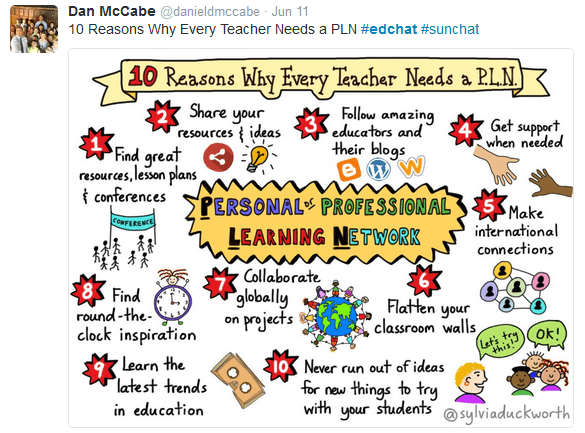 Here is a good article which details many of the benefits, tools, and tips for PLN’s. Teachers should go to professional conferences and PD (Professional Development) workshops (which, unfortunately cost time and money, but it’s a good investment). This page focuses mainly on electronic (and free) PLN’s. Each teacher should find a PLN that works for them. Many options. 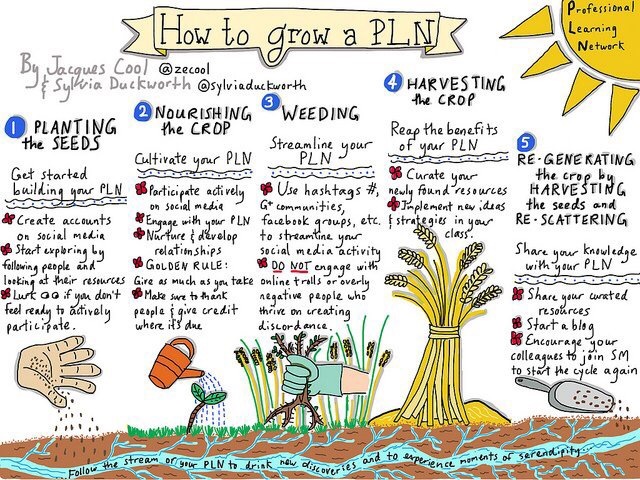 Here’s a nice article: How to Grow a PLN. NCTM – the National Council of Teachers of Mathematics is a great organization. All math teachers should join. They have a MyNCTM area and a daily digest where math teachers ask and answer questions and share. Edmodo – Edmodo is a learning management system, but also can be used as a PLN. It is widely used in K-12 education. LinkedIn – one of it’s main functions is as a PLN. Pinterest – This may not be your main tool, but it can be used to save all the cool ideas you get using your PLN. Google + (Plus) – Google product.